The age of high-dynamic range displays is coming to the PC this month. Several online retail outlets are now selling LG’s 31.5-inch 32UD99, making it the first HDR PC display available for consumers. So what’s the big deal about HDR, you ask? It’s no less than the next major evolution in display technology. HDR dramatically improves the contrast and color range on displays. This means more vibrant and accurate colors, as well as more accurate blacks. The difference is stunning, almost making the jump from 1080p to 4K resolution look like a minor step forward in comparison. The 32UD99’s highlight features include 3840-by-2160 (4K) resolution and support for the HDR 10 standard. There’s also a USB Type-C port that can simultaneously display a 4K image, charge a laptop, and transfer data. The rear of the display has two HDMI ports, a DisplayPort, and two standard USB 3.0 ports in addition to the Type-C outlet. The story behind the story: Don’t necessarily pull out that credit card just yet; LG’s HDR monitors aren’t the only ones headed to store shelves in the coming months. Glorious G-Sync HDR displays from Acer and Asus are coming before the summer, featuring 4K resolution, a 144Hz refresh rate, quantum dot technology, and 1000 nits brightness. Pricing for these monitors is not yet announced. On top of that, AMD is releasing an update to FreeSync called FreeSync 2 that will improve a monitor’s ability to render HDR with a FreeSync 2-supporting graphics card. While this new LG monitor supports the original FreeSync, we don’t expect to see it get FreeSync 2 later this year. 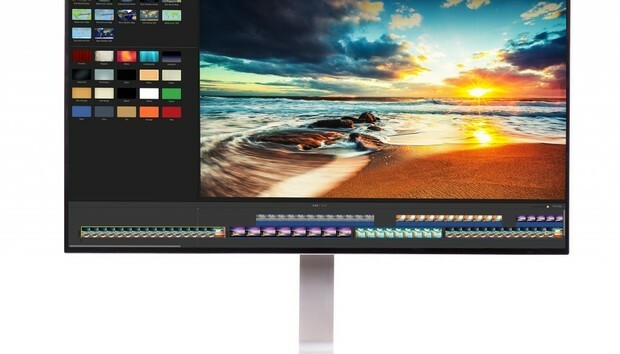 The 32UD99 still looks like a compelling monitor on paper, but a little caution could save you from potentially experiencing buyer’s remorse before the year is out.